This is what happens when an Australian gum tree decides to drop a 10 metre long limb. Tree 1. 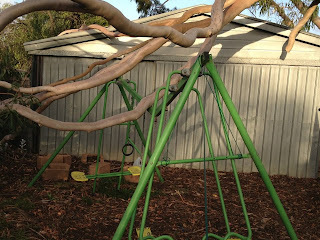 Swingset 0. Game over, man. My kids cried when they saw it. Thankfully insurance will be buying them a new one. Never a dull moment at my house!